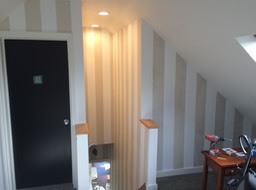 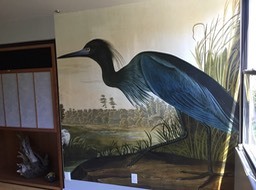 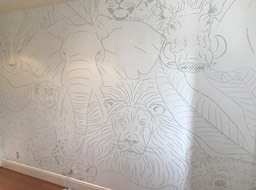 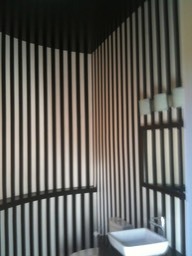 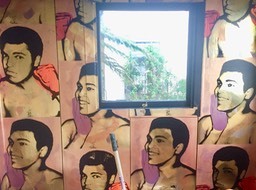 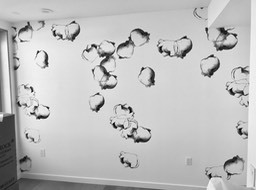 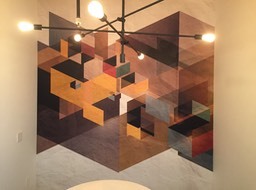 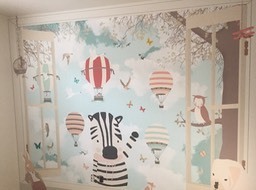 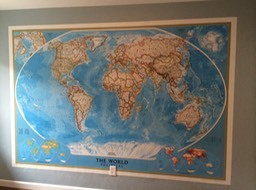 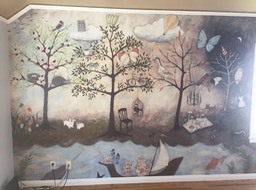 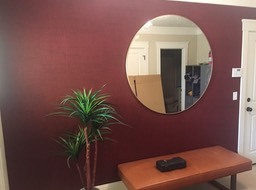 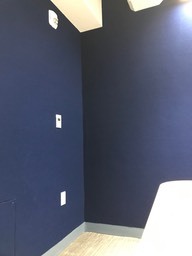 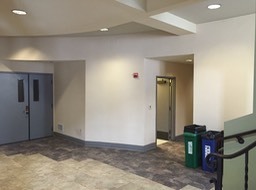 Murals to Go - Aleeya in SF for David's daughter's room. 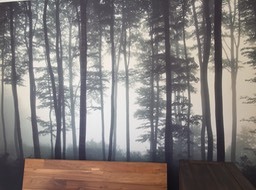 Cole and Sons "Woods and Pears"
Cole and Son, SF, "Woods and Stars"
Rollout Paper - WeWork, Berkeley, Ca. 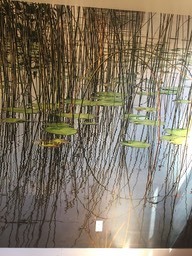 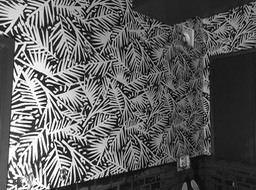 BELLY Restaurant 1901 San Pablo, Oakland, Ca - great food! 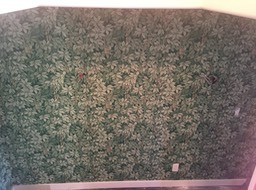 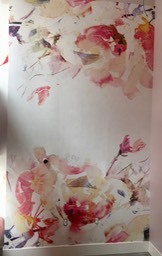 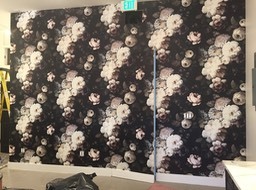 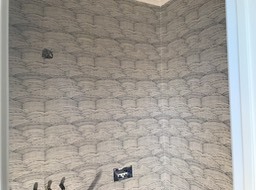 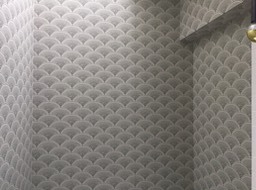 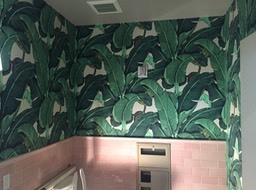 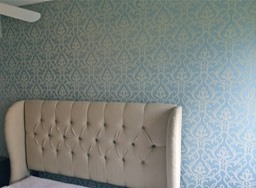 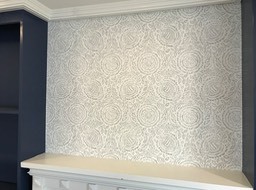 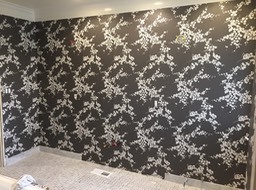 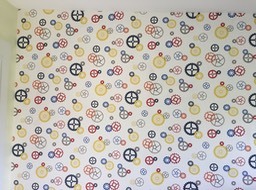 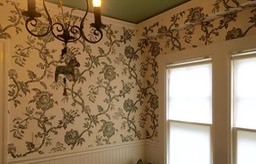 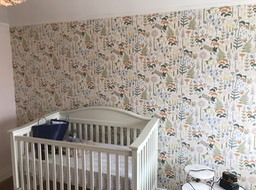 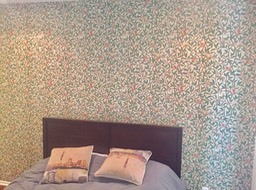 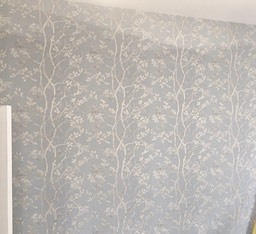 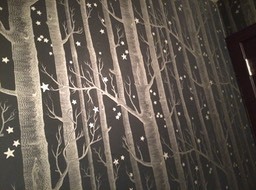 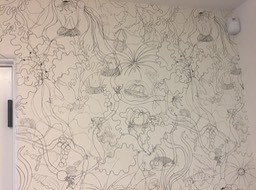 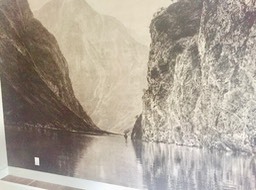 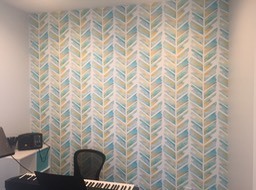 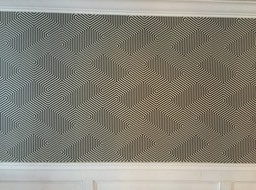 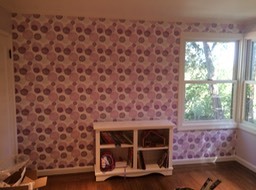 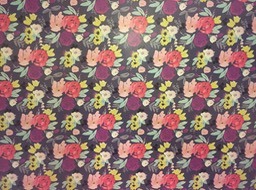 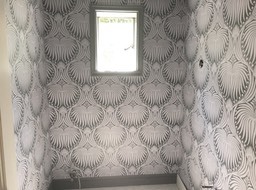 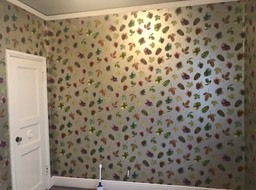 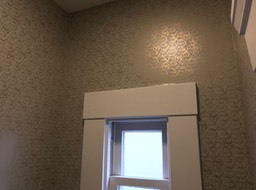 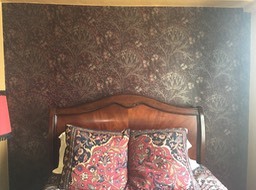 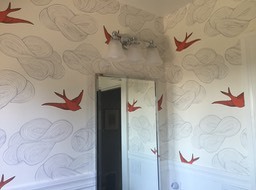 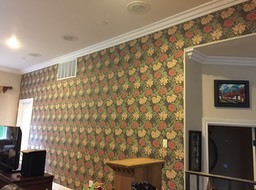 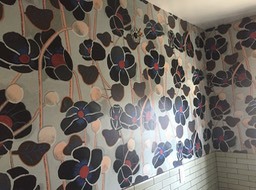 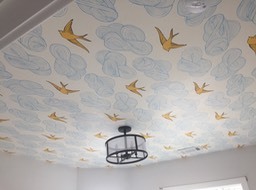 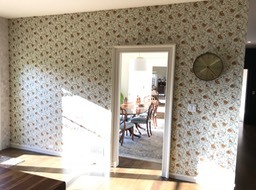 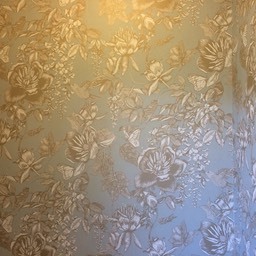 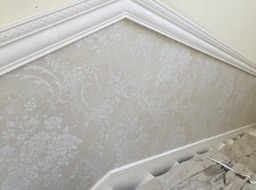 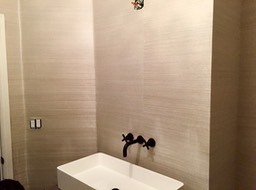 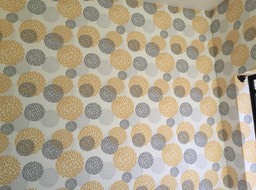 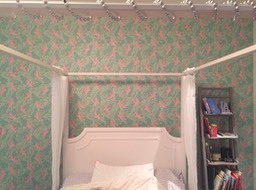 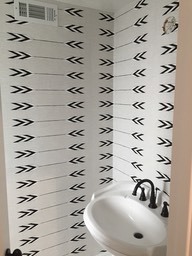 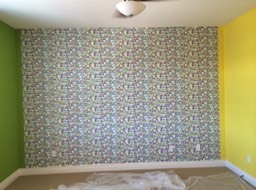 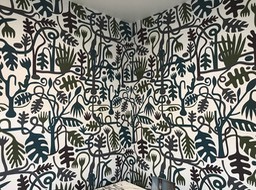 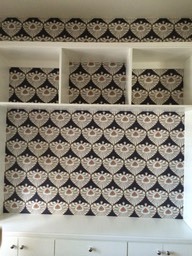 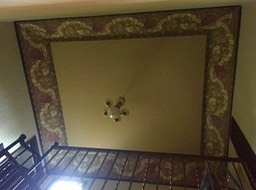 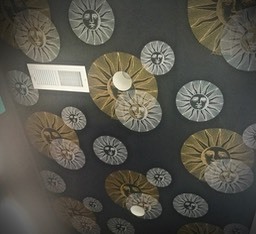 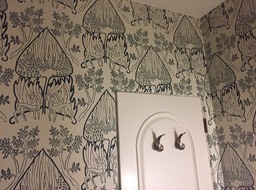 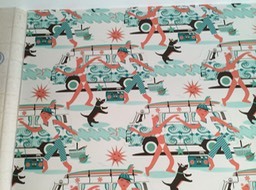 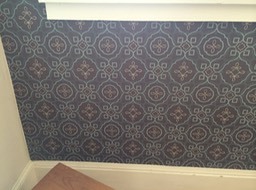 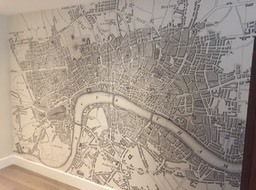 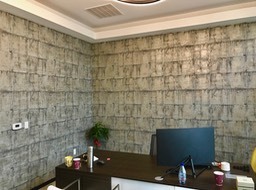 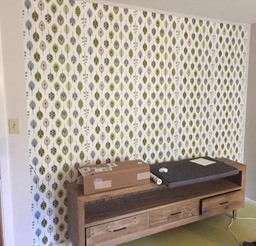 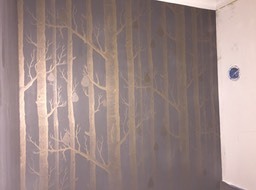 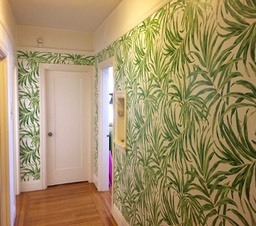 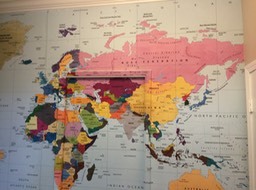 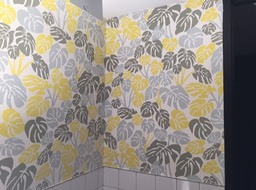 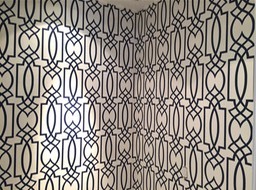 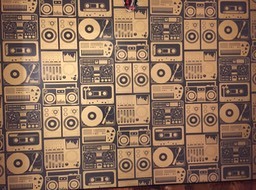 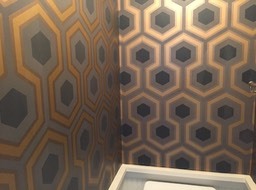 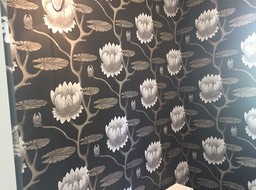 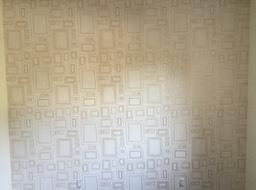 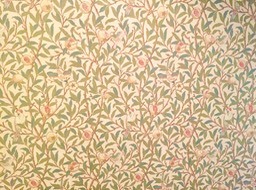 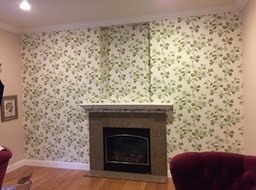 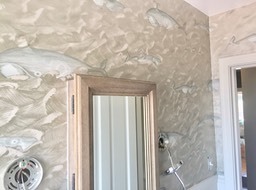 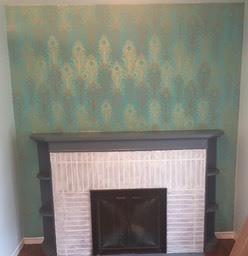 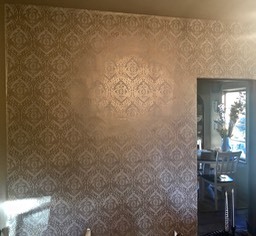 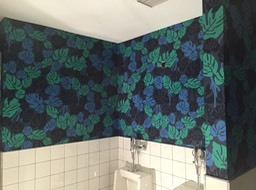 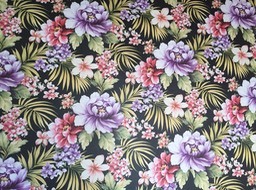 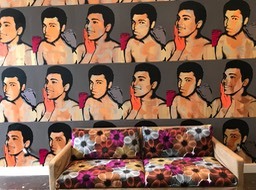 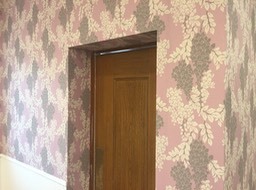 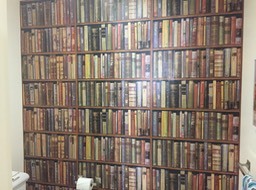 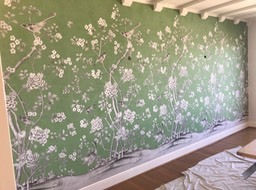 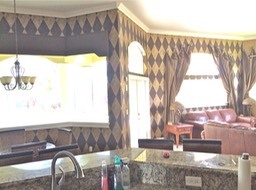 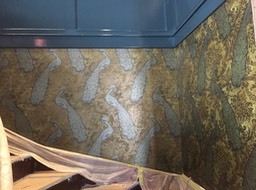 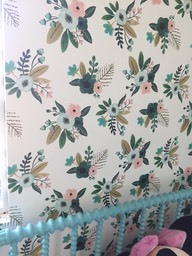 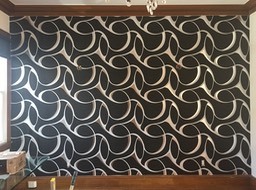 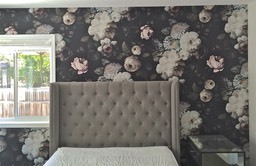 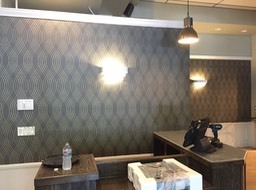 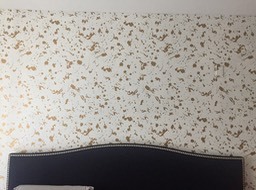 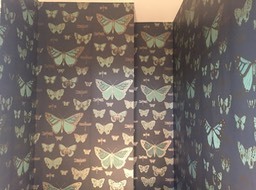 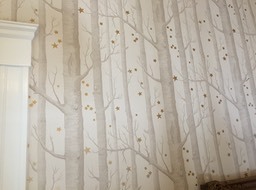 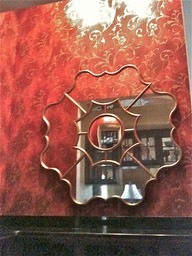 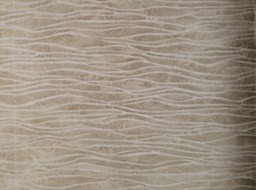 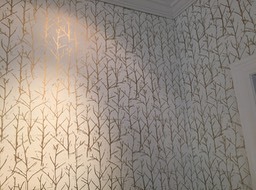 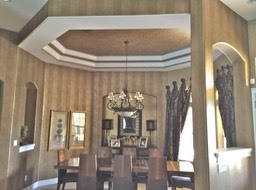 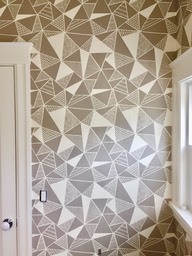 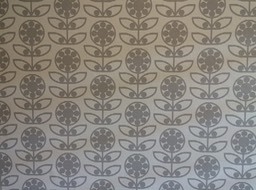 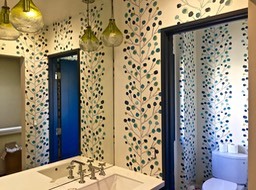 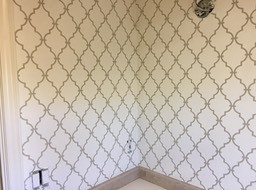 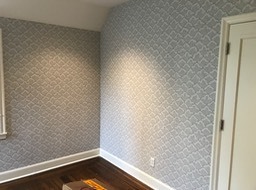 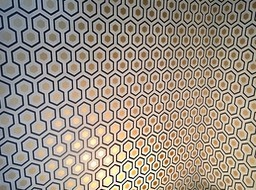 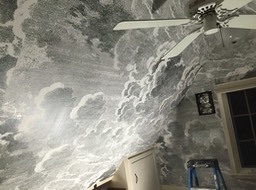 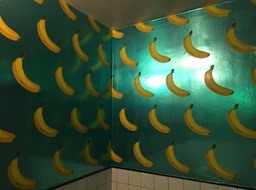 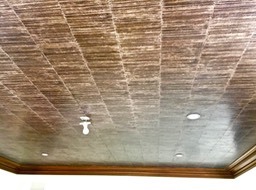 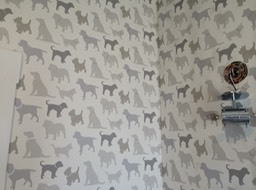 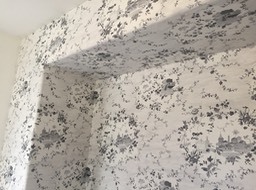 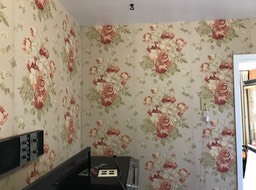 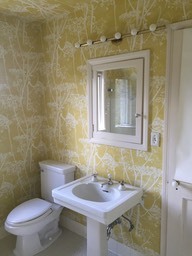 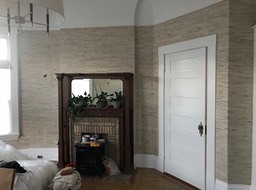 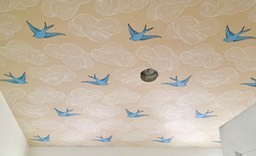 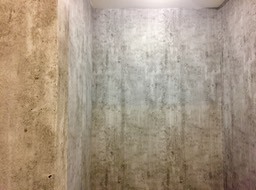 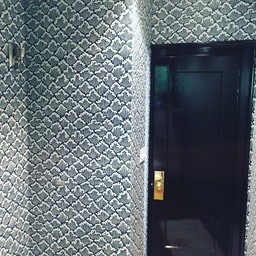 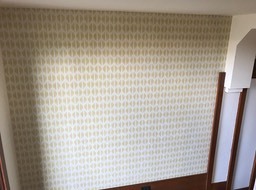 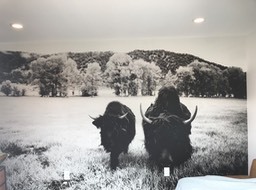 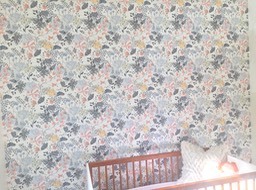 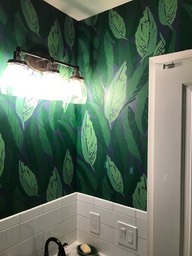 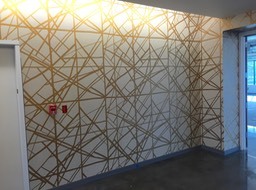 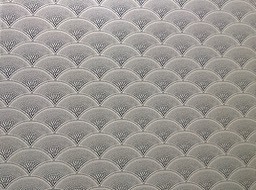 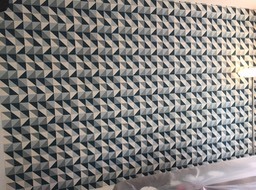 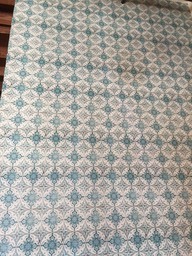 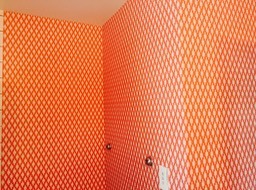 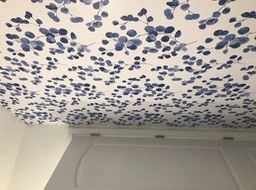 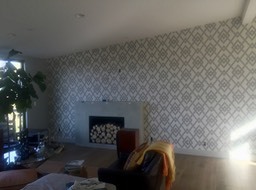 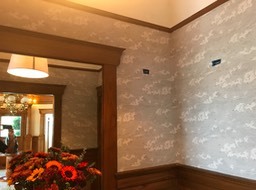 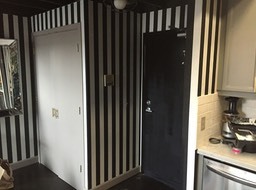 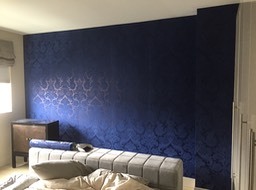 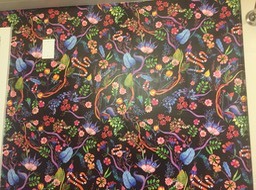 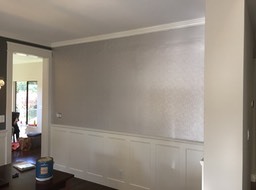 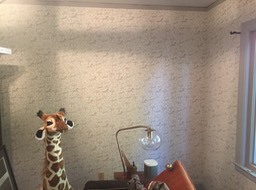 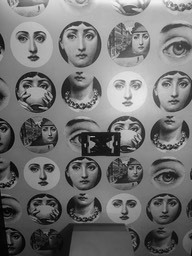 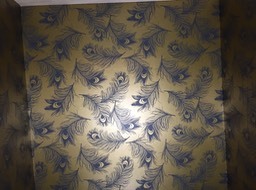 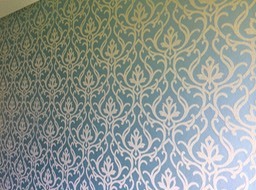 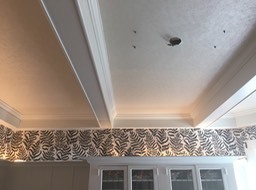 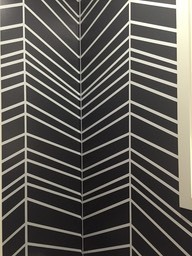 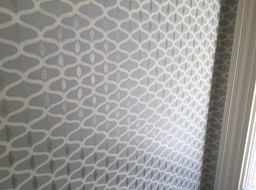 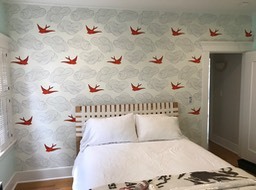 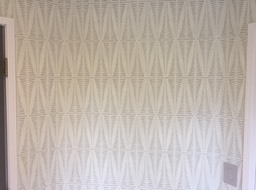 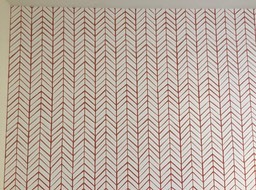 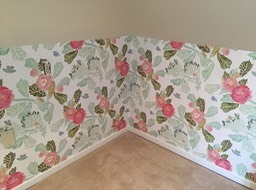 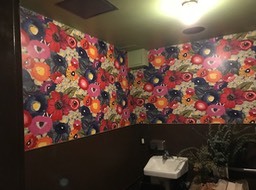 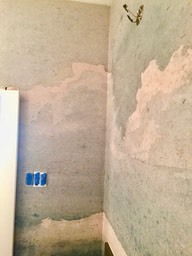 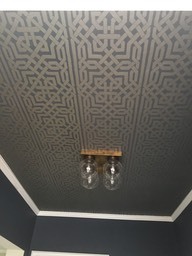 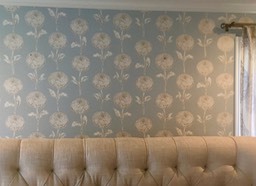 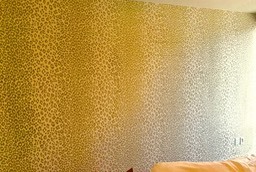 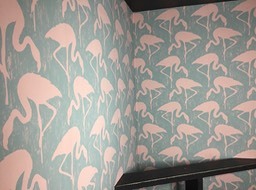 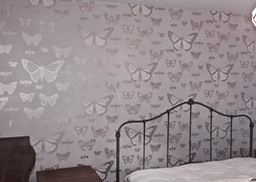 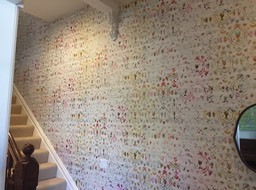 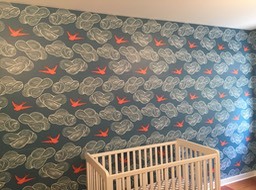 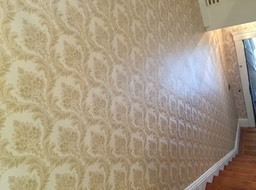 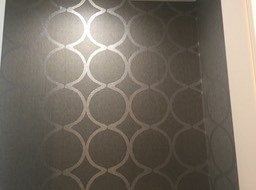 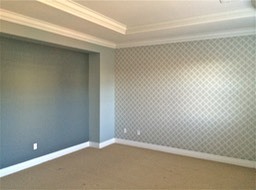 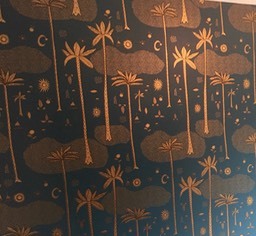 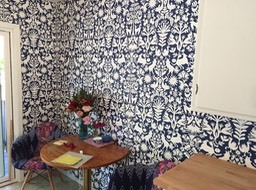 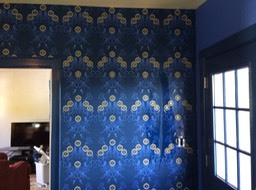 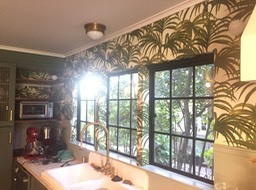 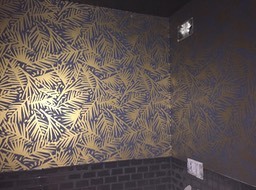 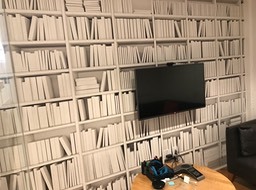 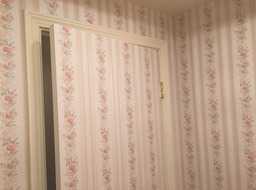 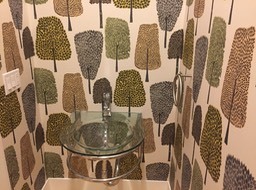 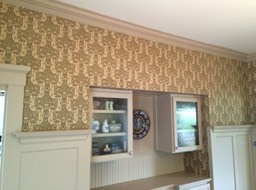 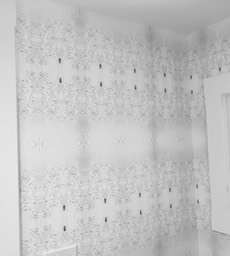 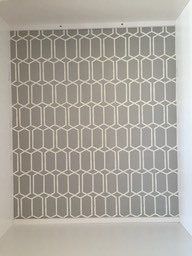 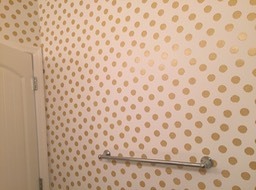 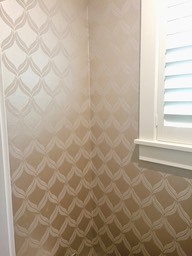 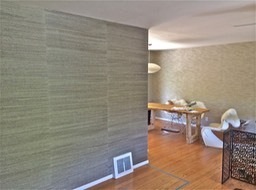 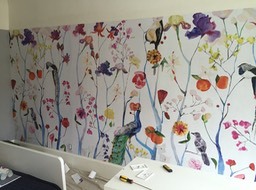 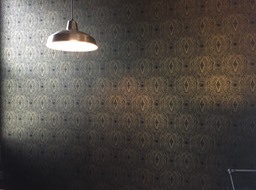 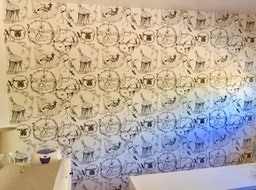 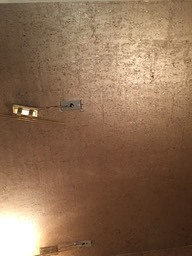 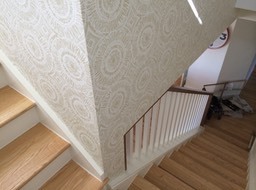 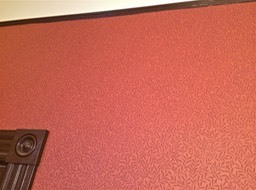 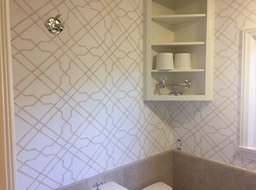 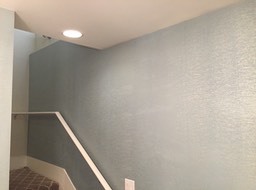 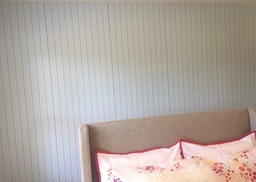 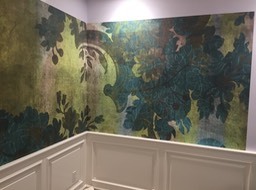 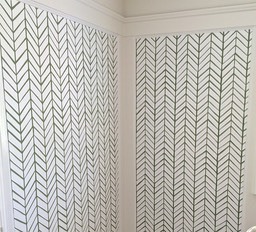 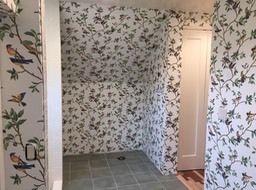 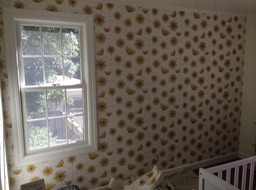 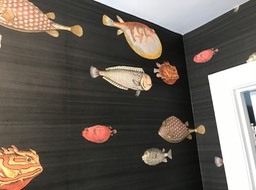 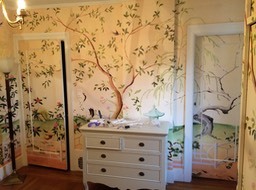 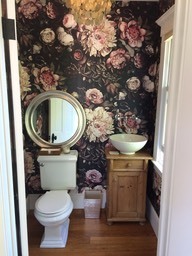 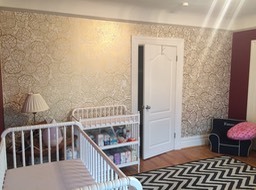 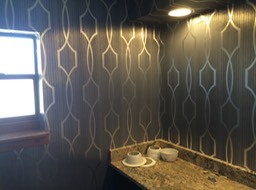 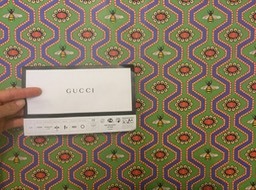 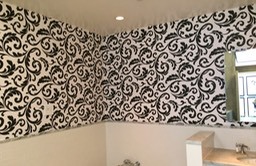 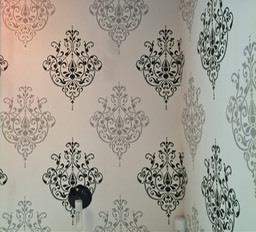 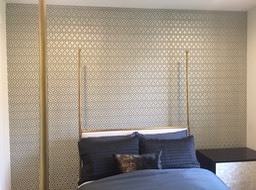 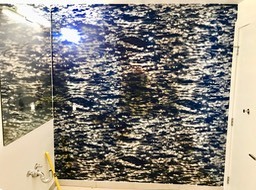 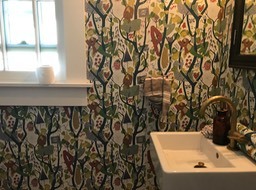 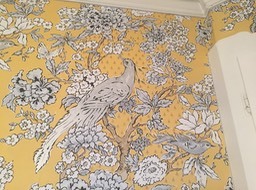 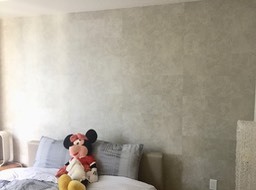 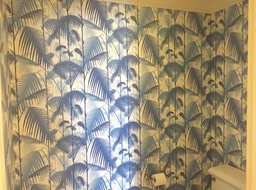 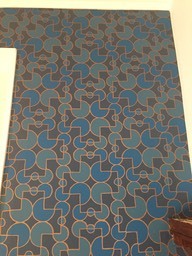 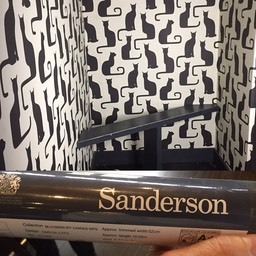 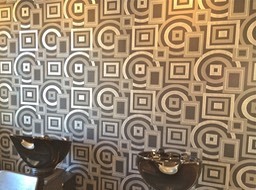 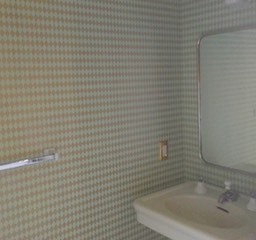 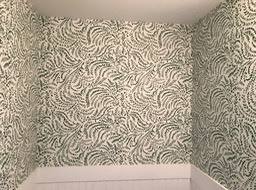 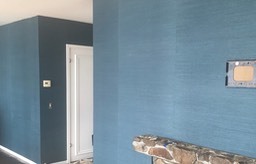 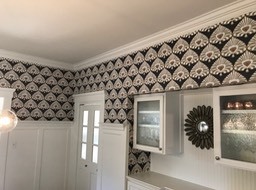 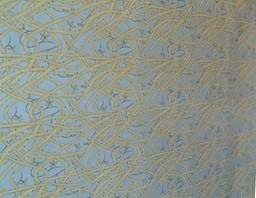 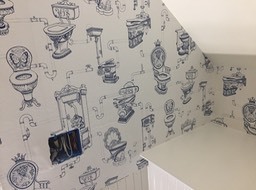 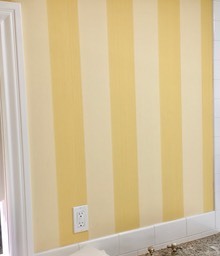 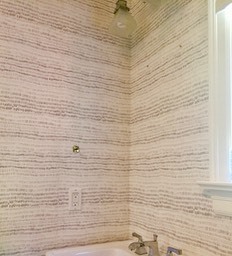 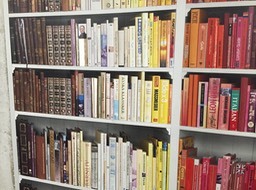 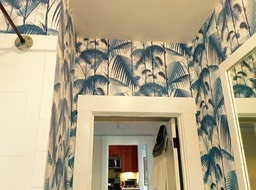 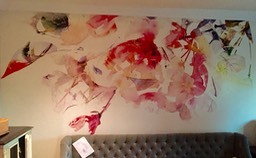 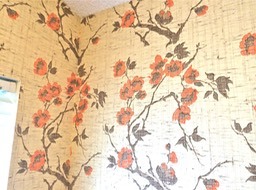 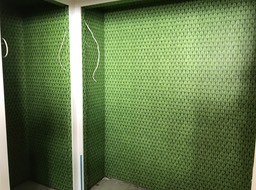 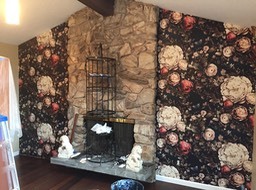 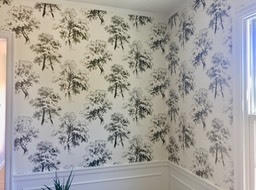 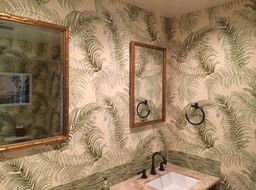 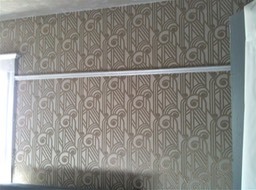 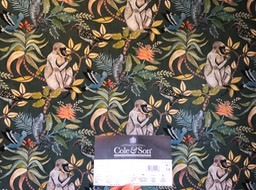 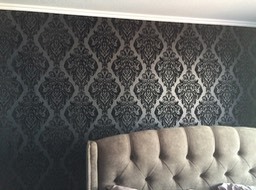 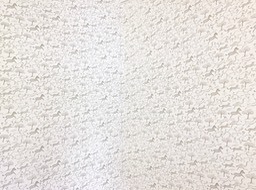 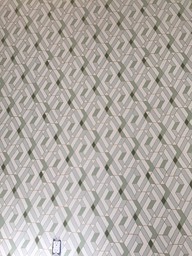 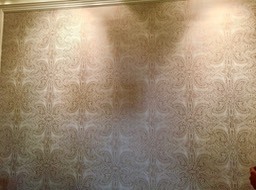 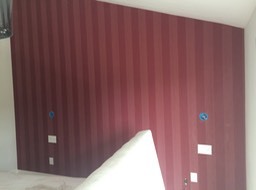 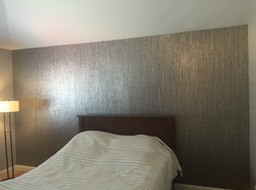 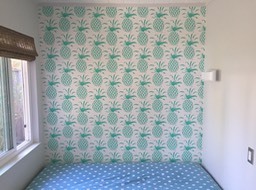 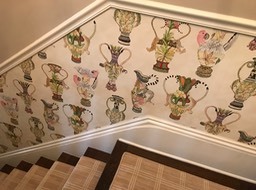 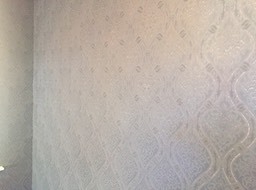 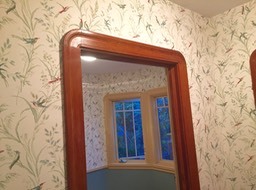 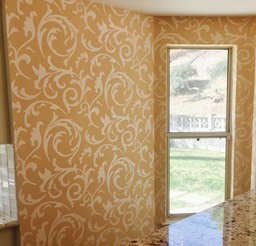 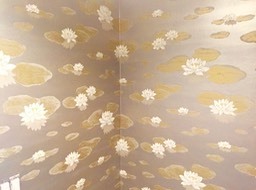 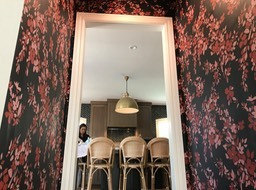 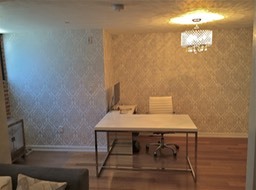 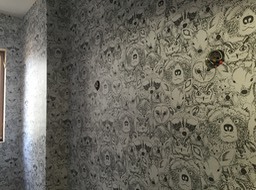 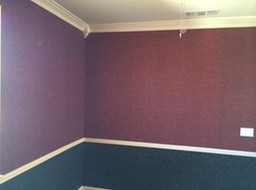 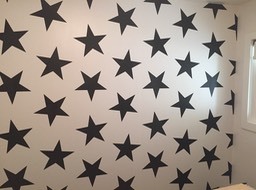 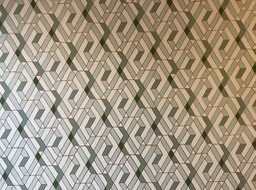 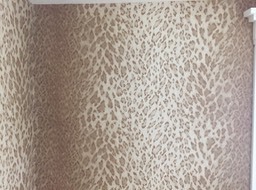 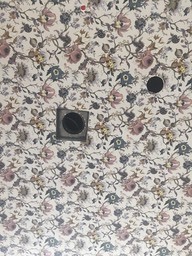 Jasmine and Kara's great choice for wallpaper in Oakland! 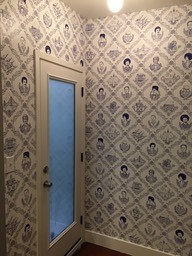 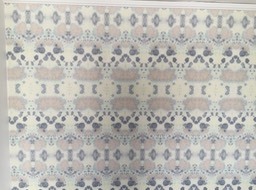 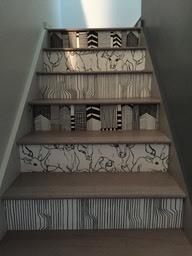 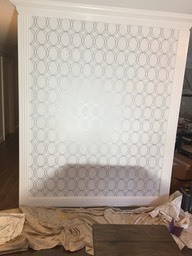 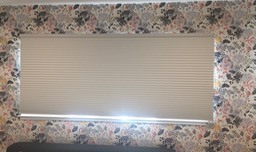 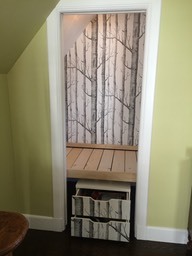 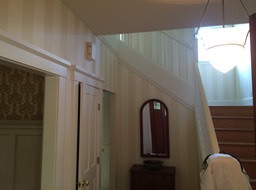 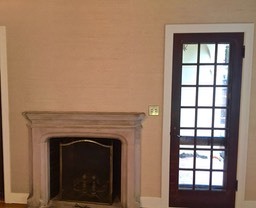 Tara - Oakland, Ca unique for the wallpapered 10' entry and closet doors! 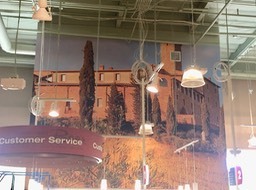 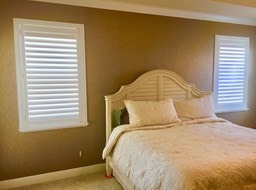 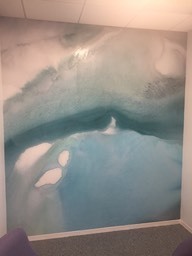 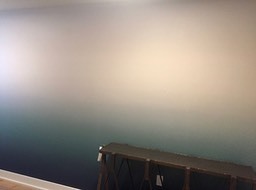 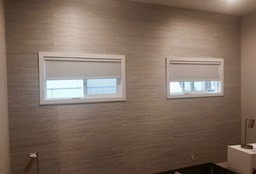 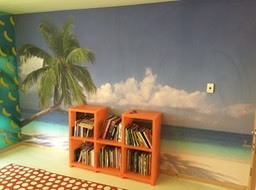 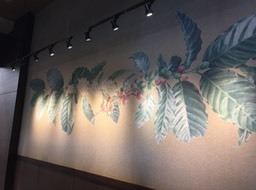 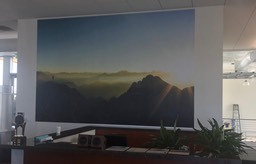 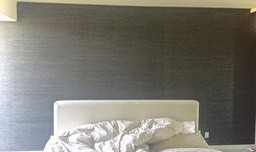 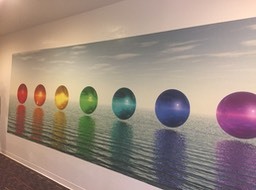 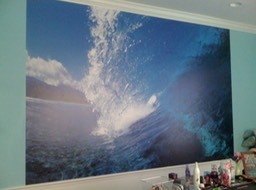 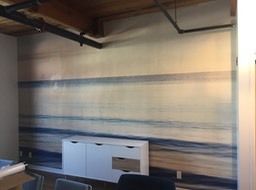 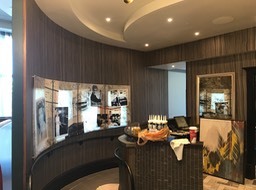 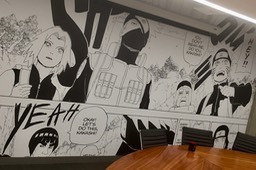 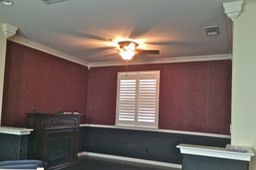 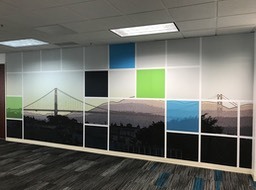 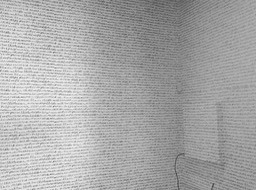 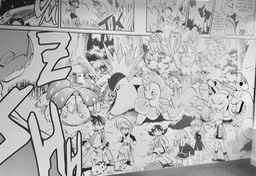 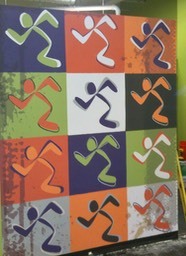 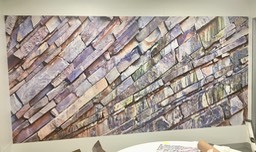 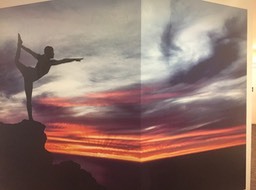 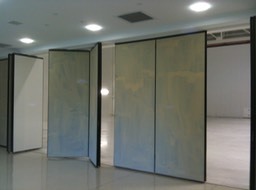 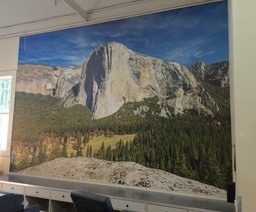 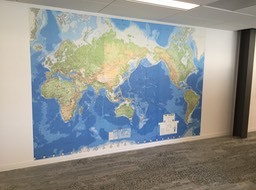 SURF's UP 3 panel wall graphic! 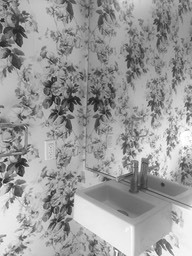 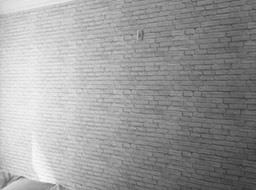 April the Architect for Celine, Piedmont, Ca. 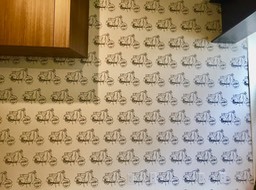 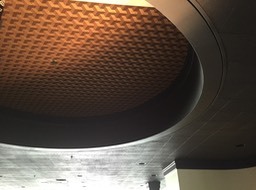 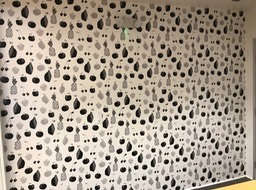 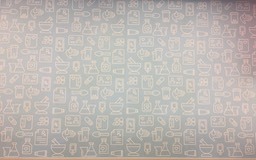 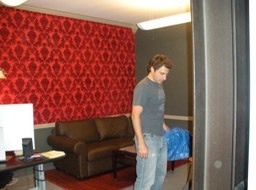 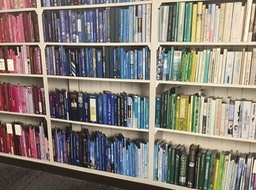 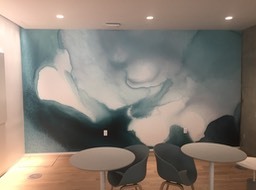 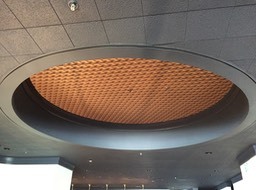 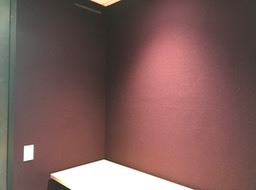 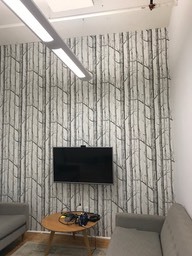 Mike and his new wallpaper at Pixar!